Offering the complete head-to-toe range of skincare, cosmetics and hair care, L’Oreal Paris is one of the biggest players in the beauty industry today and is the brand behind so many of my favourite products. From the gorgeous Rouge Caresse lippies to their fab new brow pencils, L’Oreal Paris represents great quality products at affordable prices - which is why it’s loved by so many of you lot, too. So how do you fancy getting your hands on one of FIVE goody bags, each crammed with more than FIFTY EURO worth of skincare and cosmetics from the brand? Mmhmm, I thought that’s what you’d say. Open in Ireland and the UK, the giveaway will run for two weeks from today – just pop your details into the widget below to enter, and best of luck! What a fab prize, am keeping my fingers crossed! safe to say you're spoiling us with this one. Looks like a great prize Fluffy! Great prize Emma, keeping everything crossed!! What a fab prize, Fingers crossed im lucky. It's competition central over here. I'd missed that review on the brow pencils, but I'm looking for a decent one. They look like an excellent contender! Ah Emma! your a Grand wee lady! Ooh I'd love to know what's in the goody bags! Dying to try all the skin perfection stuff! another brilliant prize...you are so good! Another wonderful competition, lovely lady. Great giveaway will make someone shine in time for Christmas! Wow! This is amazing, fingers crossed! Terrific prize - good luck everyone! 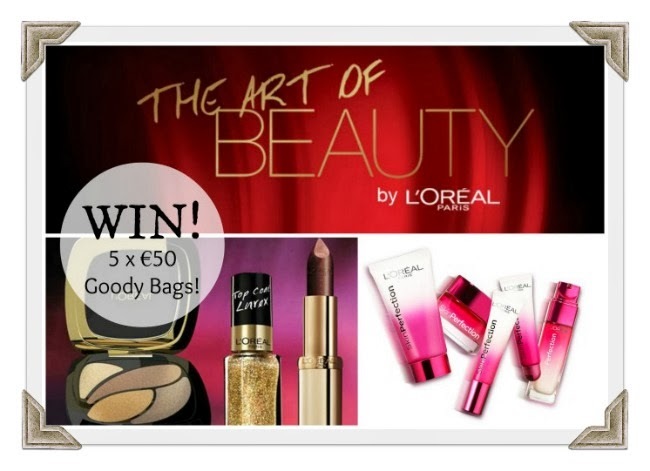 I'd love to win this a a christmas present for my mam! You're spoiling us with giveaways, Emma. Oh I never win anything, hope I win! Looks great, my girlfriend would love this!